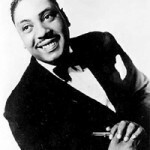 November 24, 1985 Joseph Vernon “Big Joe” Turner, blues singer, died. Turner was born May 18, 1911 in Kansas City, Missouri. At the age of fourteen, he began working in Kansas City’s nightclub scene. Turner’s career stretched from the barrooms of Kansas City in the 1920s to the European music festivals of the 1980s. 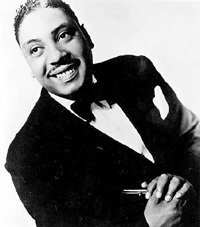 During that time he made many records, including “Chain of Love” (1951), “Honey Hush” (1953), “Flip Flop and Fly” (1955), and “Corrine, Corrina” (1956), each of which sold more than a million copies. His recording of “Shake, Rattle and Roll” (1954) is ranked number 126 on Rolling Stone Magazine’s list of The 500 Greatest Songs of All Time. In 1983, Turner was inducted into the Blues Hall of Fame and in 1987 he was posthumously inducted into the Rock and Roll Hall of Fame.